New Delhi : Tata Sons chairman Cyrus Mistry blamed Nano for bleeding Tata Motors, the company today said it has significantly written off development cost and investments related to the car and is now refocusing its strategy on "growing and attractive segments" of the passenger vehicles market. The company, however, refuted Mistry's allegations that another reason for it not shutting down the Nano, besides emotional reasons, was the supply of gliders to an electric car maker in which Ratan Tata has a stake. 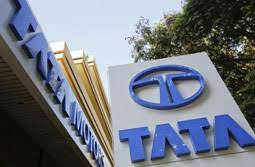 "... due to combination of several factors including project delays, due to change in location of the factory and the perception of being a low-priced car, the volumes initially anticipated did not materialise and utilisation of capacities are significantly lower," Tata Motors said in a clarification to BSE. It further said: "In a highly-priced sensitive segment of the market, coupled with low volumes, it has been a loss-making product." The company, however, said a major part of investments at the Sanand plant, where the Nano is manufactured, is capable of being utilised for other products as is evident from the production of Tiago model. "As far as development cost and investments in Nano-specific dyes and toolings are concerned, these have been significantly written off in line with the accounting policies of over the last several years," Tata Motors added. A day after he was ousted as chairman of Tata Sons on October 24, Mistry had written to the board members of Tata Sons, saying the Nano product development required a concept that called for a car below Rs 1 lakh but the cost was always above this. This product has consistently lost money, peaking at Rs 1,000 crore. He had said Tata Motors has been unable to shut down the loss-making small car Nano due to "emotional reasons" and doing so would also stop the supply of "gliders" to an entity that makes electric cars in which Ratan Tata has a stake. Refuting the particular allegation, the company said: "We would like to clarify that the matter is at a preliminary exploratory stage and no arrangement for supply of gliders has been concluded." On its turnaround plan, Tata Motors said it has recently presented and received the approval of the board for its future passenger vehicle product and business strategy. The strategy envisaged refocusing strategy "on growing and attractive segments of the passenger vehicle market in terms of volumes and profitability and aligning with the changing and enhanced expectations of the consumers regarding content and features". "The company is committed to pursuing this refocused long-term strategy and future product decisions arising from the will be announced in the course of implementation of this approved strategy," it said. Mistry had said that before 2013, in order to shore up sales and market share, Tata Motors Finance extended credit with tax risk assessment which resulted in NPAs exceeding Rs 4,000 crore, a claim that the company refuted. "These credits were pre-dominantly comprising financing for the entry-level vehicle segment and first-time users, which were severely impacted by business and macro economic downturn in the previous years, which aggravated the risk profile of this portfolio," the auto major said. "We would like to clarify that these have been fully provided for in line with our current assessment of future loses and we do not anticipate further provisions." The company said its accounting policies are in due compliance of the relevant accounting standards under IGAAP, IND-AS and IFRS accounting standards and appropriate to present true and fair view of the financial statements.